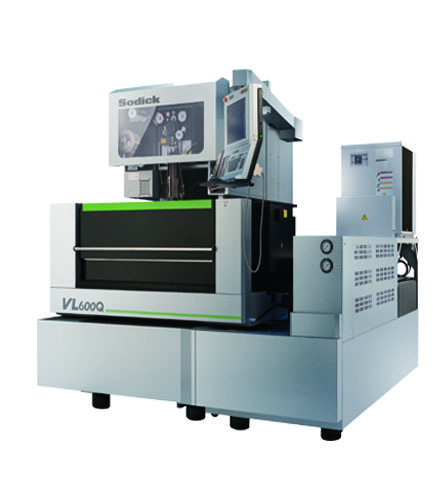 VL600Q, specially designed for versatile machining needs like Medical, Aerospace etc. Medium size handy machine, especially for job shops to accommodate variety of components virtually of all sizes from part machining to mould making. Equipped with all Sodick’s major features like linear motor drives, linear scales and ceramics as standard to ensure high speed and high precision machining. In addition to this, the features such as, Heart-NC on board programming, advanced corner control, automatic float control, new power supply with improved surface finish, more reliable auto wire threading with added pop-up function and more.